The box has come up as predicted. It has continued to fish well with smaller bead heads. I would have the usual collection of zebras in black red and brown. #16 and #18 will work well. Having some #16 pheasant tails is also a good plan. As you approach Last Chance look for fish eating caddis. The caddis hatches this year have been amazing. 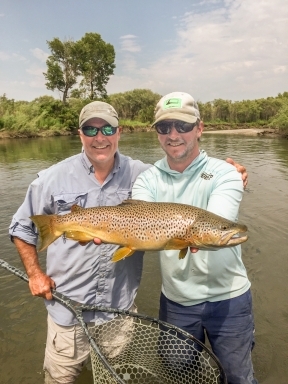 Make sure you have #16 tan E-Z Caddis with you. I would also have #16 spent partridge caddis and some #16 spent partridge caddis. The Ranch continues to be amazing. We are seeing pmds, flavs and caddis. The mornings and the evenings have produced consistent targets. The midday has slowed down a bit but I think this year the Ranch has been very good. What a difference a good winter snow pack makes. I would have some #16 pmd no-hackles as well as some #18 vis-a-duns. #16 and #18 rusty spinners is also a good idea. The lower river has not changed much from my last report. 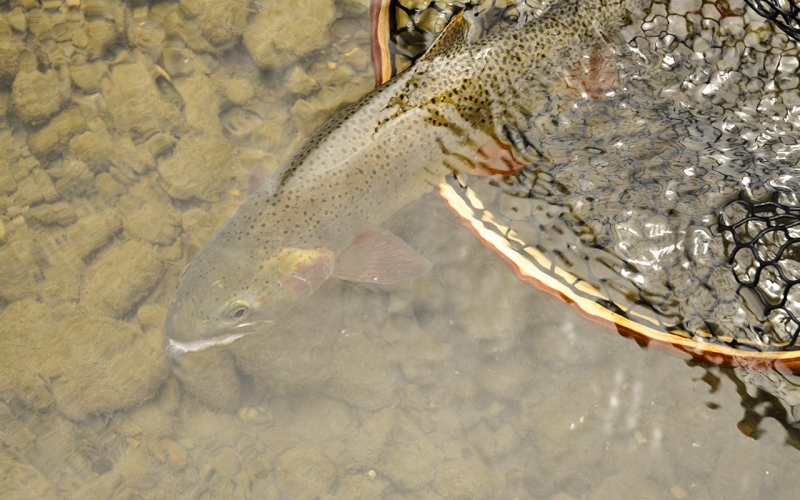 The best dry fly fishing continues to be early and late. It’s time to break out the zebra midges on the lower river. If you find yourself floating Warm River to Ashton then I would make sure you have some #16 and #18 red zebras. I would also have some red and brown #16 and #18 two bit hookers. I would start looking for solid hopper fishing as well. A #10 Rainys Hopper is a good Idea. The Teton is the spot to be! 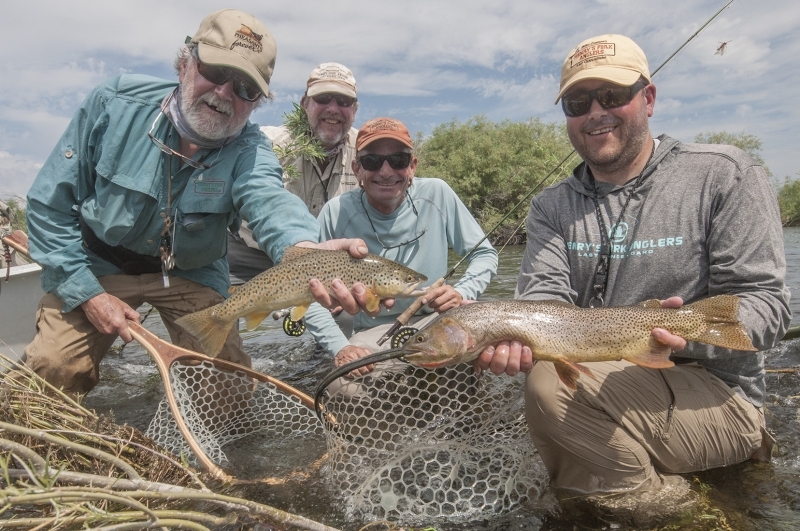 We have run a handful of guide trips on the Teton this week with great success. If you are up in the canyon make sure you have a handful of #10 purple chubbies with you. I would also have some pmds with you and of course some caddis. 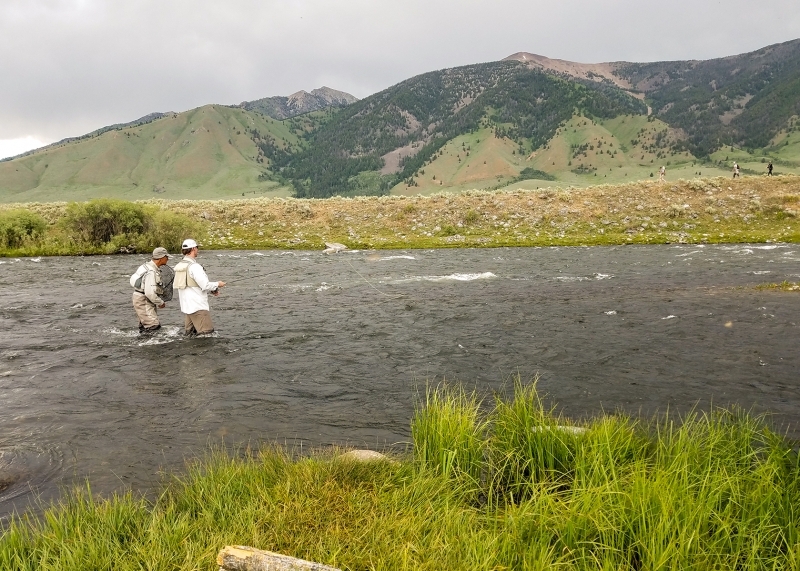 The South Fork of the Snake has also started to fish. I would have a good selection of rubber legs and smaller bead heads like zebra midges. Look in the riffles for Pink Alberts and I would also have a few hoppers handy.It’s great to see this river come into shape. I would also think that the mutant golden stones will start to come in good numbers in the next week or two. The Madison has gotten a little tough. The water coming out of the dam is coming from the top so the water has warmed up. If you are planning on fishing the Madison then I would be on the water early and then again late. I would have #16 tan caddis emergers and also some #16 spent caddis. 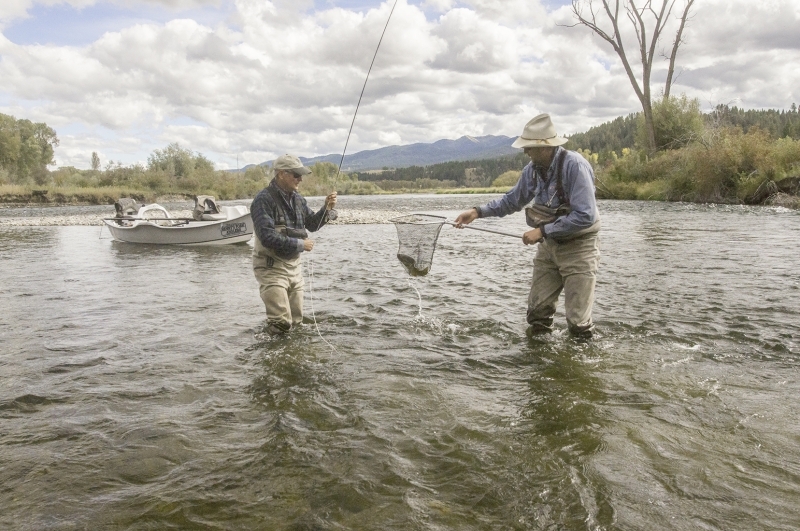 Land those fish as quickly as possible and get them back into the water. The Yellowstone River in the park has been great! It’s amazing to see the all the rivers in the park running clear and full. The opener was a little busy but the fishing was great. Salmon Flies and golden stones were thick. 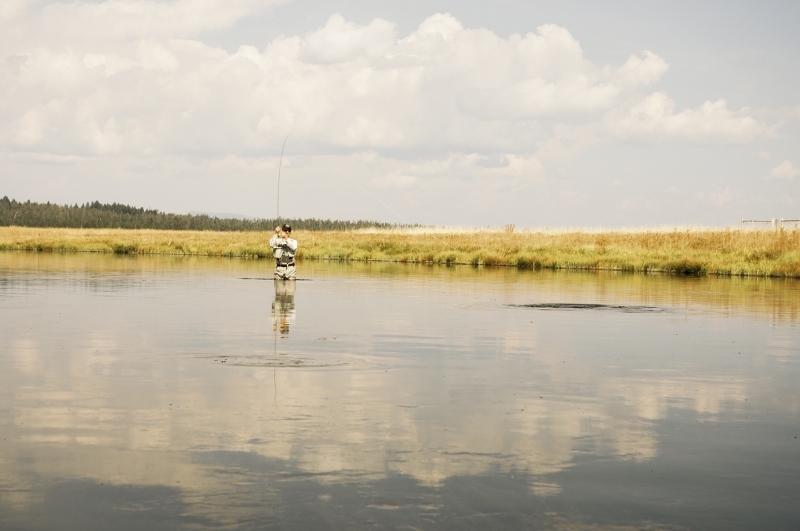 I would leave the waders at home if you want to fish the Yellowstone in the park. You will have to swim/wade to get to some of the sweet spots. 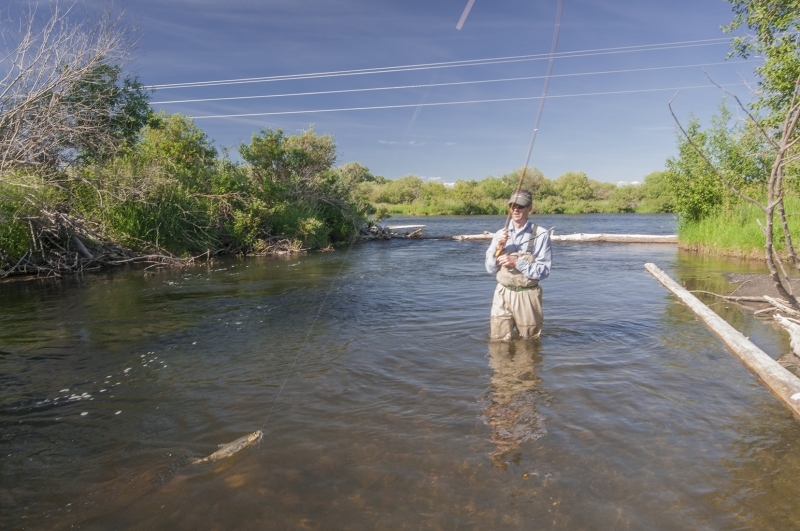 Have #10 Henry’s Fork Goldens and #8 Henrys Fork Foam Salmon Flies. I would also have #16 No-Hackles pmds and some Hackled Spinners. The Lamar and Slough Creek are also fishing well. I would have the same patterns and through in some beads for Slough Creek. Not much has changed on Henrys Lake. I would fish early and late. Have plenty of leeches in various colors. I would also have some scuds for Henrys Lake. Hebgen continues to fish well in the mornings. I would have some #16 callibeatis and some #16 pheasant tails.